Glasgow is the largest city in Scotland. 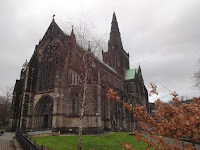 It's not as posh as Edinburgh but there is still a lot of stuff to see and do in Glasgow. It has a big industrial history and is known for other things such as art, music and architectural design. Go to a pub and get some deep fried food like the Scots do best and maybe go to a gig. Don't worry there's plenty of deep fried vegan food. Why You Should Go: It is a big Scottish city with a lot going on. There is many great vegan bars and it's easy to find an affordable place to stay. Glaswegians have very cool accents and you will want to learn how to speak like them. You might have some trouble understanding Glaswegians at first but don't worry you'll get used to it. You'll figure it out and be able to understand but only as long as they don't throw too much slang at you. Maybe Google some Glaswegian slang to prepare yourself ahead of time. Getting to Glasgow: We flew into Glasgow Airport direct from Vancouver back in 2011. Our most recent trip we took the train to Edinburgh and our friend drove us to Glasgow after a Scotland road trip. There are many ways to get to Glasgow whether you want to go by car, bus, train or jet. How vegan friendly is it? 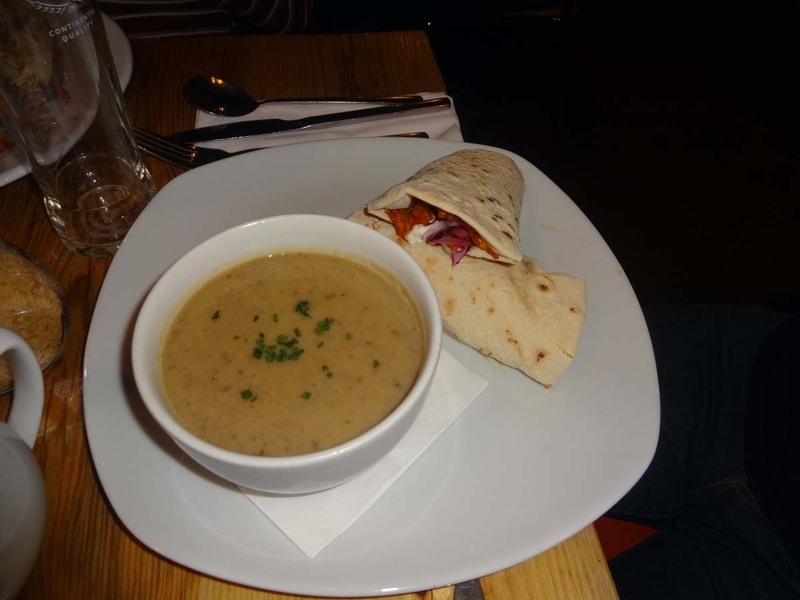 Glasgow has a surprisingly large number of vegan bars. It was named by PETA as the most vegan friendly city in the UK a few years back. Word of mouth says that one rich vegan guy is responsible for opening up four Glasgow vegan cafe bars. We are not sure if this is true but there is about four vegan pubs that appear to be loosely connected. They are Stereo, Mono, The 78 and The Flying Duck. Glasgow also has a yearly vegan festival called VegFest which is in the beginning of December. Stereo/Mono/The 78/The Flying Duck: These are all cafe bars in Glasgow that not only have great vegan food but are also venues for all kinds of gigs and events. Check them out. We've found the food to be delicious and not too expensive either. The atmosphere is pretty good too. 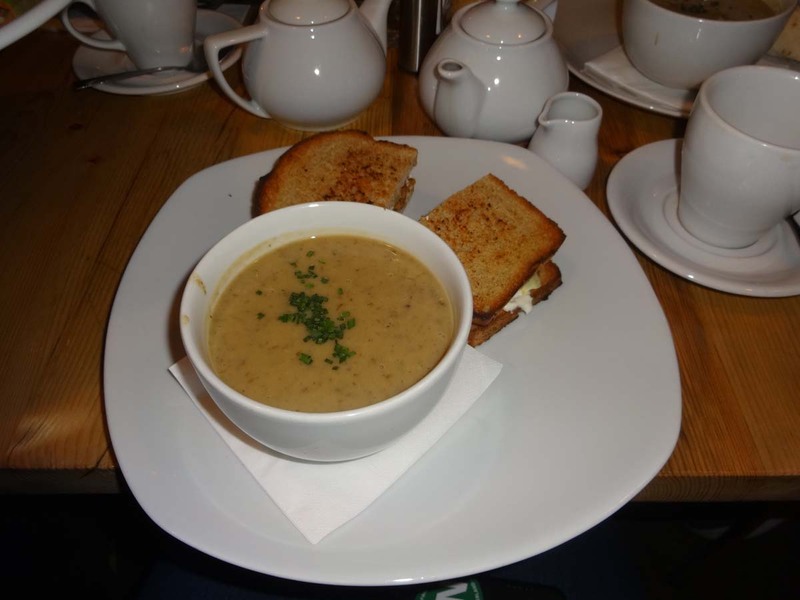 For more vegan options check out Happy Cow which has a comprehensive list of vegan, vegetarian and veg-friendly places to eat. Happy Cow states that Glasgow has 9 fully vegan places. There seems to be many places we missed and possibly ones that have just opened up since we were there last. Sight Seeing: In Glasgow you can walk along the River Clyde, you could go for a river cruise, check out the art at the Glasgow Gallery of Modern Art, get a photo of the Duke of Wellington Statue that has a Traffic Cone on its head, and get a great view of the city at the top of the Lighthouse which includes the Mack Design Centre. Glasgow has lots of museums and many parks as well. You probably won't be able to see all of Glasgow in one visit. Where to stay: Stay in an airbnb or a guest house. We have tried both. 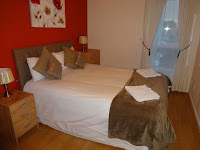 There are lots of airbnbs to choose from and some great guest houses as well. 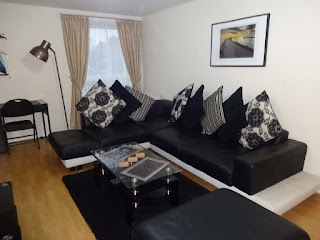 We stayed in a Kumar Suites airbnb last time we were in Glasgow and we would highly recommend it. Like any major city there are tons of hotels to choose from so you shouldn't have a problem finding suitable accommodation. Check out Glasgow's city guide for more information on their tourism. Remember "People Make Glasgow". Save our guide for later, pin it! 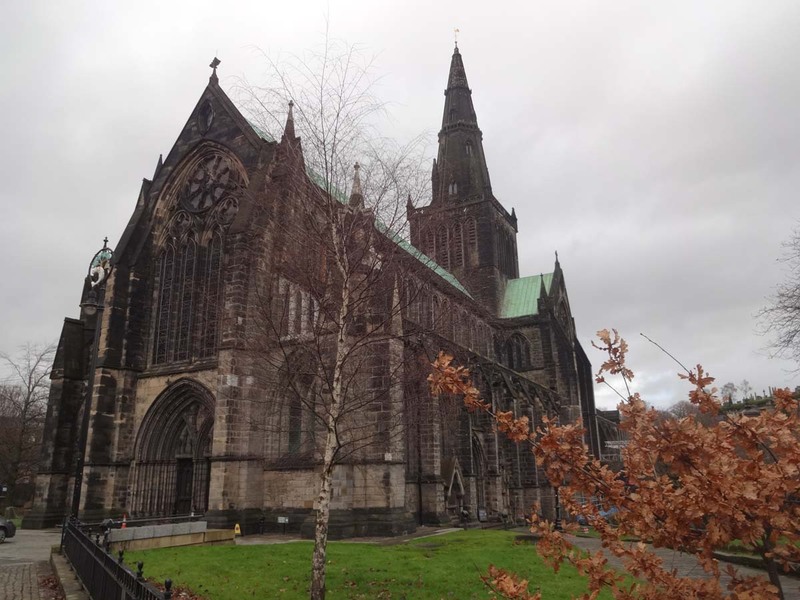 What's your favourite thing to do in Glasgow? Do you have a favourite vegan restaurant you would like to add to our list? I'm not vegan but those donuts look incredible! I had no idea that Glasgow was so vegan-friendly. Which donut flavour was your favorite? Wow those doughnuts looks amazing I might have to go to Glasgow just so I can get one lol. Although all the food looks delicious so maybe its time for another visit. I would love to visit Scotland someday. So much history and cool things to see there. I am not vegan but these pictures just made me hungry. Thanks. Yay donuts and pub food! We were only in Glasgow for a day and a half and wish we had spent more time. We obviously missed a lot but we'll have to save it for next time. Nice to also see plenty of vegan options as we transition away from meat. Glasgow is worth a longer stay next time. We were pleased with the food there for sure. Thanks. Glad to be of service. Glasgow must be a haven for all vegans. The donuts look delicious. I have been seeing a lot of vegan donuts on Instagram but have not tried one. I am sure that they taste really good. I would love to go to Vegan Fairs in the U.K. I am eager to try something new. Yes try a vegan donut at a shop near you. Yes go there when you get a shot.